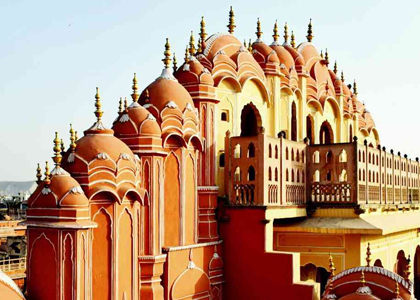 Jaipur – land of the Rajputs, is an exuberance of colour, dance and traditional arts and crafts. 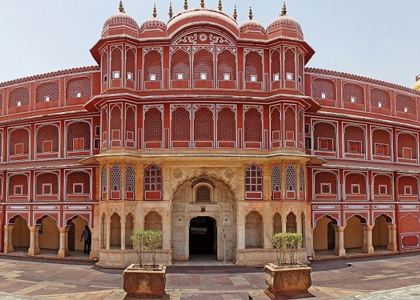 Known, as the ‘Pink City’, Jaipur is home to a wonderful selection of ancient forts and palaces. One of India’s most well planned cities, Jaipur is built in 9 rectangular sectors symbolising 9 divisions of the universe, as per Indian cosmology! 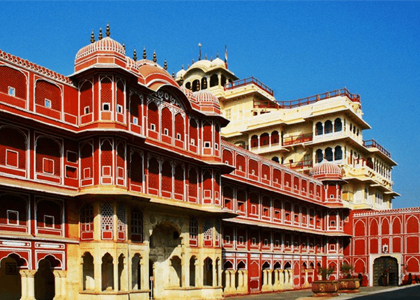 The City Palace is a wonderful blend of Rajput and Mughal architectural styles. The walls, ceilings and floors of the palace are richly carved and decorated. 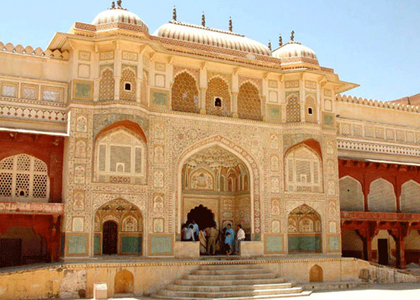 A huge building, City Palace occupies total one seventh of Jaipur’s area. The palace also houses a museum having an impressive collection of costumes and armoury belonging to both Mughals and Rajputs. 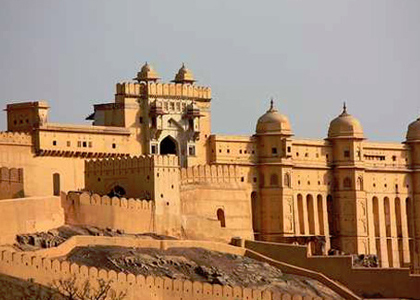 Built in red sandstone and marble, Amber Fort is one of the most attractive forts of Rajasthan. Essentially a military structure, an element of luxury is also associated with the fort. The construction of this fort was initiated by Raja Man Singh in the 17th century but could only be finished by Sawai Jai Singh in the eighteenth century. Influences of Hindu and Mughal forms can be seen in the architecture of this fort. 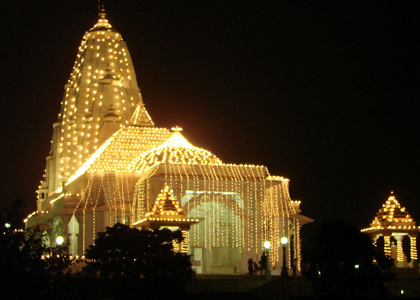 More popularly known as the Birla temple, this temple was constructed by the Birla family. 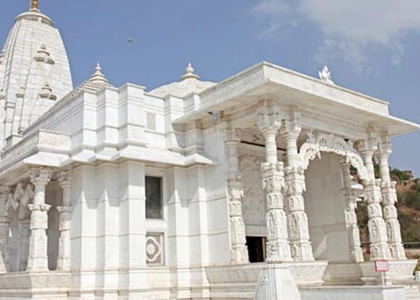 Located on top of a hill surrounded by lush green gardens, the exteriors and interiors of this white marble temple has many exquisite carvings showing various mythological themes and images of saints. Built in the 18th century, this palace with its innumerable windows and screened balconies was especially built for the royal women to view the city and processions. 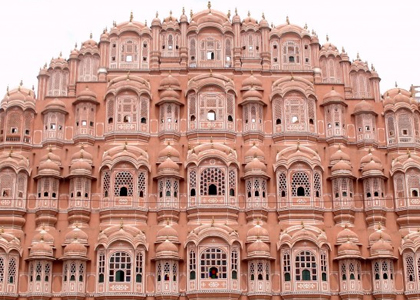 Hawa Mahal is famously known as a palace, but it is actually a royal curtain or a see through wall, from where women of royalty could see the outside world, without being noticed. 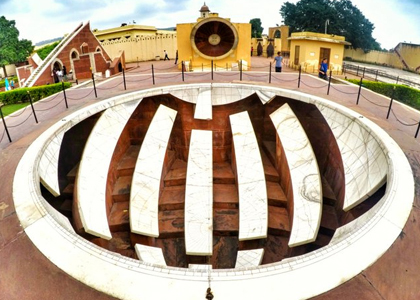 An astronomical observatory with masonry instruments, Jantar Mantar is a collection of salmon-coloured instruments including a sundial and others that plot the course of planets and determine the time based on the direction of the sun. 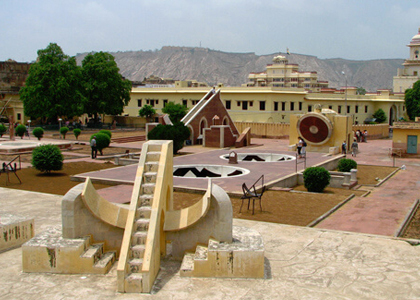 This observatory in Jaipur is more popular than its counterpart in New Delhi. 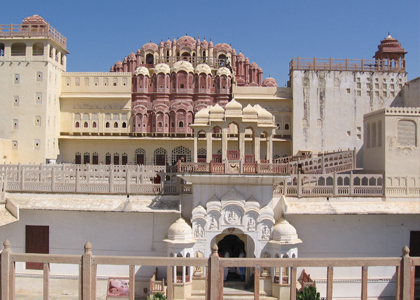 Situated atop the Aravalis, Nahargarh Fort offers a spectacular view of the city of Jaipur. 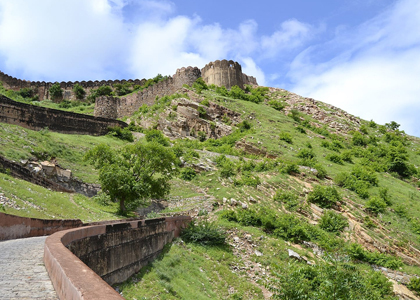 ‘Nahargarh’ means ‘the Abode of Tigers’, so this fort is also known as the Tiger Fort. The fort was constructed in the 18th century with additions being made by successive rulers till the 19th century. 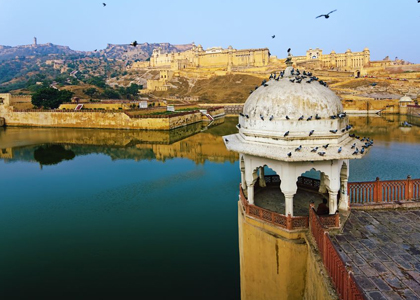 The geometrically designed Nahargarh Fort forms a remarkable backdrop of Jaipur and offers glittering views of the city. Renowned for its precious and semi-precious stones and jewellery artefacts, ‘Jauhari Bazaar’ meaning the ‘jewellers market’ is the central hub for Rajasthani jewels. Specialising in silver jewels with studded stones, this is the place to be if you are a jewel freak. If you don’t wish to lash out, there are enough options for cheap chunky jewellery as well, you just need to look around! Watch out, as every pedestrian on the street could potentially be a jewel trader carrying rocks worth a fortune in their pockets! is the hub of meenakari and jadau jewellery. One of the most popular roads of Jaipur, M.I. Road has a large number of emporia selling a variety of goods ranging from jewellery, brass work, textiles, blue pottery, carpets, cotton rugs, colourful cotton wraps and dresses, woodwork etc. 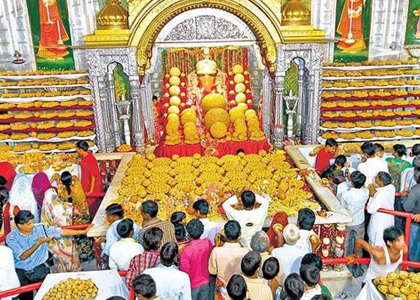 An ideal place to visit if you want to see all of Jaipurs specialities at one place! A hotspot with tourists for souvenir shopping, here you can shop with the confidence of buying best quality products. Renowned for textiles, utensils, ironware and trinkets, if you want to see the artisans at work, step into the side lanes here and see for yourself. Visit ‘Maniharon Ka Rasta’ for beautiful colourful bangles. Looking for the popular ‘Mojri’ footwear? Made from soft camel leather and artistically embroidered, the footwear is available in vibrant colors and low prices at Bapu Bazaar or Nehru Bazaar. Locally called ‘Juti’, the footwear is known for comfort and durability. Apart from this, both bazaars offer a range of colourful Jaipuri fabrics and a variety of leather ware and jewels. If you are keen to dress like a Rajasthani Indian, head straight to Kishanpol bazaar, the famous market known for its colourful Bandhani textiles. Bandhani or tie & dye is a skillful art, where fabrics are tied into small knots using threads and are dipped into an array of beautiful colors. After dyeing these knotted parts remain uncolored creating different designs and patterns. The popular patterns are mothda, the chequered design, lahariya, the diagonal strips, shakari, the human and animal figures and ekdali, the design of small circles and squares. If you are intrigued to see the making of Bandhani, look for ‘Rangwalon Ki Gali’ i.e. ‘the lane of colourful people’, a tiny lane where local art of ‘tie–and–dye’ is at display. Copper Chimney, Peacock Restaurant (Pearl Palace), Samode Haveli, Spice Court, Surabhi Restaurant, Nero’s, Hari Mahal Palace. Handi, Chowki Dhani (for typical Rajasthani food served in ethnic traditional setting), Laxmi Misthan Bhandar (try Rajasthani Thali for the local vegetarian flavour). Don’t drive away from Jaipur without visiting Polo Bar, Rambagh Palace – for snacks, cigars, cocktails and signature drinks. The Terrace, Jai Mahal Palace – enjoy a cuppa, amidst the beautiful palatial backdrop. 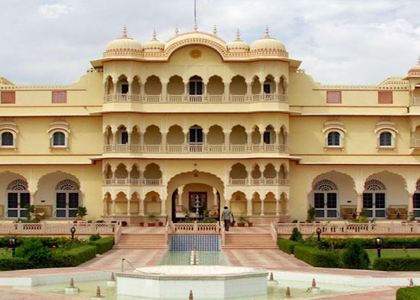 Swapna Mahal, Hotel Raj Palace – for a Maharaja experience of luxury and grandeur, enjoy fine Indian cuisine at the beautiful Swapna Mahal.